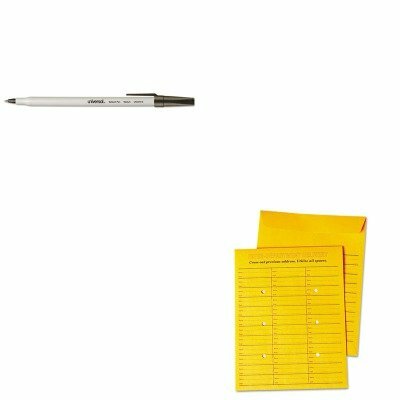 Durable Kraft stock is ideal for everyday interoffice use. String and button closure can be used again and again. Pre-printed routing table features 31 rows. Envelope Size: 10 x 13 Envelope/Mailer Type: Interoffice Closure: String and Button Trade Size: 97.
lt;stronggt;UNV63570lt;/stronggt;lt;BR/gt;Universal Interoffice Press amp;amp; Seal Envelopelt;BR/gt;Designed for interoffice use. Reusable. Box-style envelope has space for up to 62 entries. Envelope Size: 10 x 13 Envelope/Mailer Type: Interoffice Closure: Resealable Self-Adhesive.lt;BR/gt;lt;BR/gt;lt;stronggt;LEE40100lt;/stronggt;lt;BR/gt;Universal Interoffice Press amp;amp; Seal Envelopelt;BR/gt;Easily separate backing paper from self-adhesive stamp rolls. Patented dispenser is durable and reusable. Just drop roll in the dispenser, feed through the slot, feed backing under slots and pull backing to dispense. 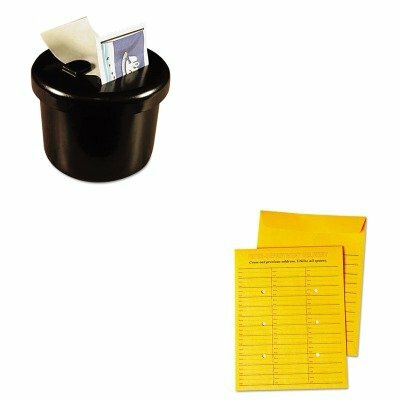 Use 50 or 100 count rolls or stamps, address labels, labels or stickers, up to 1amp;quot; wide. Capacity text: One 100 Count Roll Colors: Black Materials: Plastic Size: 2amp;quot; dia. 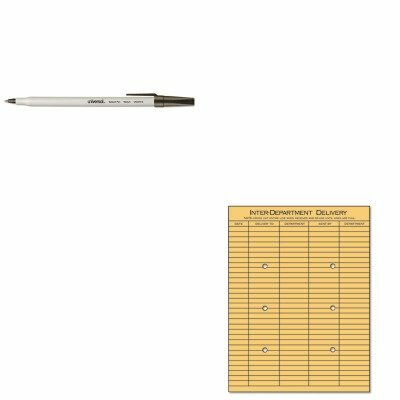 x 1 11/16amp;quot; h..
lt;stronggt;UNV63568lt;/stronggt;lt;BR/gt;Universal Light Brown Kraft String amp;amp; Button Interoffice Envelopelt;BR/gt;Rip-resistant Kraft stock is ideal for everyday interoffice use. String and button closure can be used again and again. Pre-printed routing table features 31 rows. 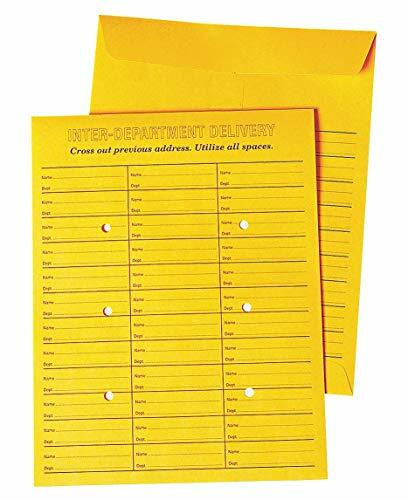 Envelope Size: 10 x 13 Envelope/Mailer Type: Interoffice Closure: String and Button.lt;BR/gt;lt;BR/gt;lt;stronggt;LEE40100lt;/stronggt;lt;BR/gt;Universal Light Brown Kraft String amp;amp; Button Interoffice Envelopelt;BR/gt;Easily separate backing paper from self-adhesive stamp rolls. Patented dispenser is durable and reusable. Just drop roll in the dispenser, feed through the slot, feed backing under slots and pull backing to dispense. 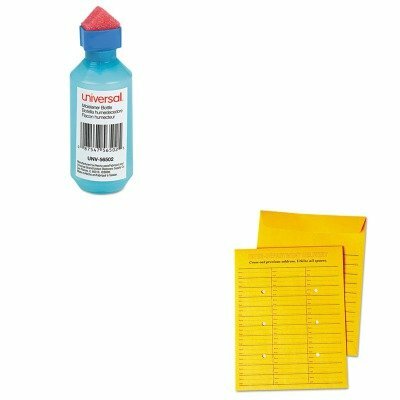 Use 50 or 100 count rolls or stamps, address labels, labels or stickers, up to 1amp;quot; wide. Capacity text: One 100 Count Roll Colors: Black Materials: Plastic Size: 2amp;quot; dia. 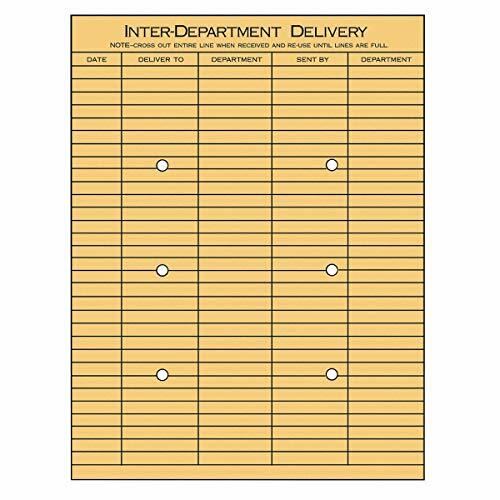 x 1 11/16amp;quot; h..
Universal Light Brown Kraft String & Button Interoffice Envelope, 10 x 13, 100/Box Durable Kraft stock is ideal for everyday interoffice use. String and button closure can be used again and again. Pre-printed routing table features 31 rows. Envelope Size: 10 x 13; Envelope/Mailer Type: Interoffice; Closure: String and Button; Trade Size: #97. String and button closure. Manufacturer's limited one-year warranty. lt;stronggt;QUA63262lt;/stronggt;lt;BR/gt;Quality Park Brown Kraft Fold Flap Kraft Trade Size Interoffice Envelopelt;BR/gt;Heavyweight, 28-lb. Kraft stock is rip and tear resistant. Tuck in the ungummed flap to seal. Ideal for cash deposits and interoffice memos. Envelope Size: 4 1/2 x 10 3/8 Envelope/Mailer Type: Interoffice Closure: Fold Flap Trade Size: 11.lt;BR/gt;lt;BR/gt;lt;stronggt;UNV31803lt;/stronggt;lt;BR/gt;Quality Park Brown Kraft Fold Flap Kraft Trade Size Interoffice Envelopelt;BR/gt;Concealed blade for ultimate safety. 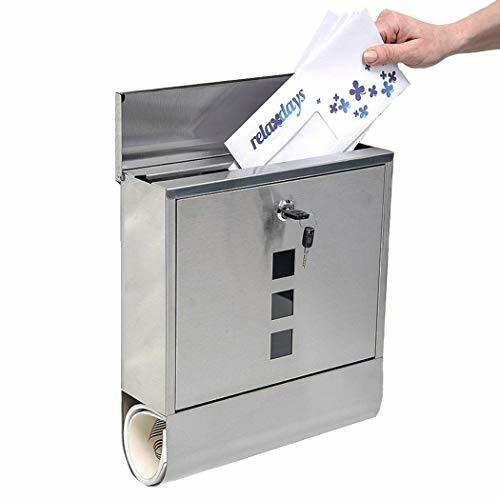 Simply slip slitter under flap and push forwardsharp steel blade opens envelope with ease. Keep a few in a desk drawer at work, use in a home office or carry in your briefcase. Blade Type: Concealed Blade Material: Steel Handle Material: Plastic. Durable heavyweight Kraft stock resists rips and tears. Reinforced eyelet and two prong clasp stands up to regular use. Gummed flap delivers a secure seal. Envelope Size: 6 x 9 Envelope/Mailer Type: Catalog/Clasp Closure: Clasp/Gummed Flap Trade Size: 55. 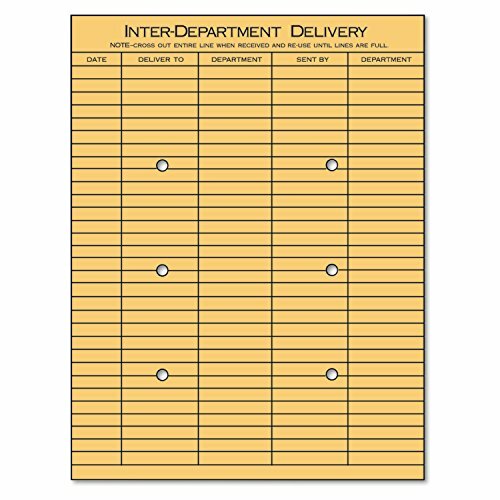 Light Brown Kraft String & Button Interoffice Envelope Rip resistant Kraft stock is ideal for everyday interoffice use. String and button closure can be used again and again. Pre-printed routing table features 31 rows. 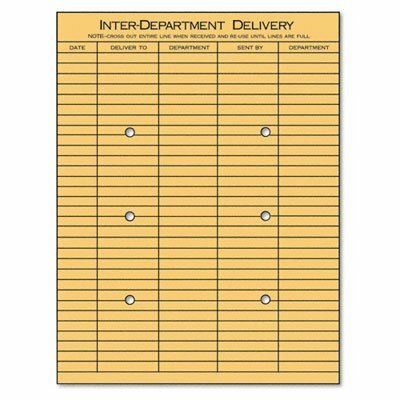 Rip resistant Kraft stock is ideal for everyday interoffice use. String and button closure can be used again and again. Pre-printed routing table features 31 rows. 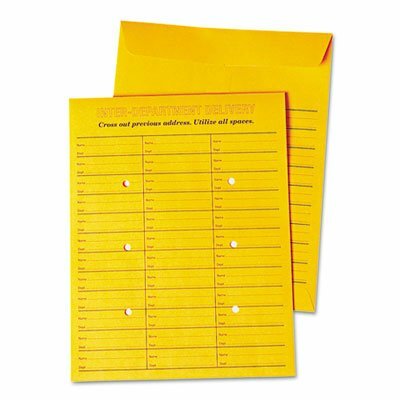 Global Product Type: Envelopes/Mailers-Interoffice; Envelope Size: 10 x 13; Envelope/Mailer Type: Interoffice; Closure: String and Button. 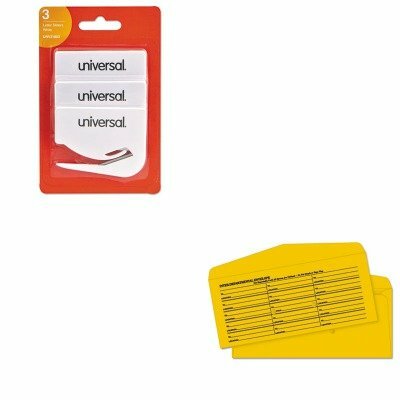 lt;stronggt;UNV63568lt;/stronggt;lt;BR/gt;Universal Light Brown Kraft String amp;amp; Button Interoffice Envelopelt;BR/gt;Rip-resistant Kraft stock is ideal for everyday interoffice use. String and button closure can be used again and again. Pre-printed routing table features 31 rows. Envelope Size: 10 x 13 Envelope/Mailer Type: Interoffice Closure: String and Button.lt;BR/gt;lt;BR/gt;lt;stronggt;UNV27410lt;/stronggt;lt;BR/gt;Universal Light Brown Kraft String amp;amp; Button Interoffice Envelopelt;BR/gt;Lightweight yet durable, this pen is reliable from the first mark to the last. Economy ballpoint pen is a value-priced office standard. Oil-based ink dries quickly, keeping your documents safe. Special Ink Type: Oil-Based Pen Style: Stick Ink Colors: Black. lt;stronggt;UNV63568lt;/stronggt;lt;BR/gt;Universal Light Brown Kraft String amp;amp; Button Interoffice Envelopelt;BR/gt;Rip-resistant Kraft stock is ideal for everyday interoffice use. String and button closure can be used again and again. Pre-printed routing table features 31 rows. 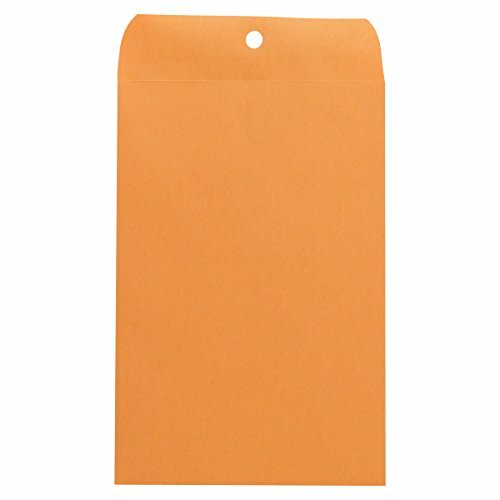 Envelope Size: 10 x 13 Envelope/Mailer Type: Interoffice Closure: String and Button.lt;BR/gt;lt;BR/gt;lt;stronggt;UNV56502lt;/stronggt;lt;BR/gt;Universal Light Brown Kraft String amp;amp; Button Interoffice Envelopelt;BR/gt;Eliminates the need to lick envelopes. Distributes moisture evenly without over-wetting. Long-lasting polyurethane sponge. 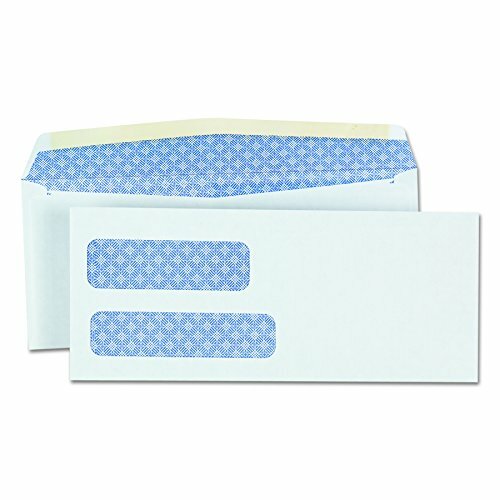 Transparent blue plastic bottle easily seals envelopes. 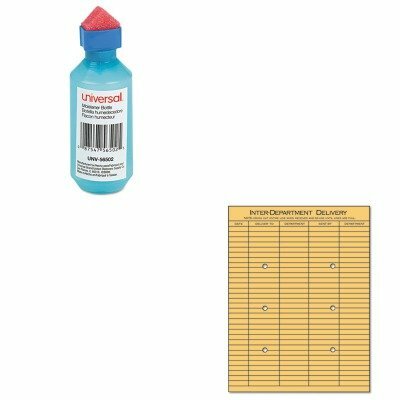 Moistener Size: 2 oz Colors: Blue Materials: Plastic BottlePolyurethane Sponge. lt;stronggt;UNV63570lt;/stronggt;lt;BR/gt;Universal Interoffice Press amp;amp; Seal Envelopelt;BR/gt;Designed for interoffice use. Reusable. Box-style envelope has space for up to 62 entries. Envelope Size: 10 x 13 Envelope/Mailer Type: Interoffice Closure: Resealable Self-Adhesive.lt;BR/gt;lt;BR/gt;lt;stronggt;UNV27410lt;/stronggt;lt;BR/gt;Universal Interoffice Press amp;amp; Seal Envelopelt;BR/gt;Lightweight yet durable, this pen is reliable from the first mark to the last. Economy ballpoint pen is a value-priced office standard. Oil-based ink dries quickly, keeping your documents safe. Special Ink Type: Oil-Based Pen Style: Stick Ink Colors: Black. lt;stronggt;UNV63570lt;/stronggt;lt;BR/gt;Universal Interoffice Press amp;amp; Seal Envelopelt;BR/gt;Designed for interoffice use. Reusable. Box-style envelope has space for up to 62 entries. Envelope Size: 10 x 13 Envelope/Mailer Type: Interoffice Closure: Resealable Self-Adhesive.lt;BR/gt;lt;BR/gt;lt;stronggt;UNV56502lt;/stronggt;lt;BR/gt;Universal Interoffice Press amp;amp; Seal Envelopelt;BR/gt;Eliminates the need to lick envelopes. Distributes moisture evenly without over-wetting. Long-lasting polyurethane sponge. Transparent blue plastic bottle easily seals envelopes. Moistener Size: 2 oz Colors: Blue Materials: Plastic BottlePolyurethane Sponge. lt;stronggt;UNV63570lt;/stronggt;lt;BR/gt;Universal Interoffice Press amp;amp; Seal Envelopelt;BR/gt;Designed for interoffice use. Reusable. Box-style envelope has space for up to 62 entries. 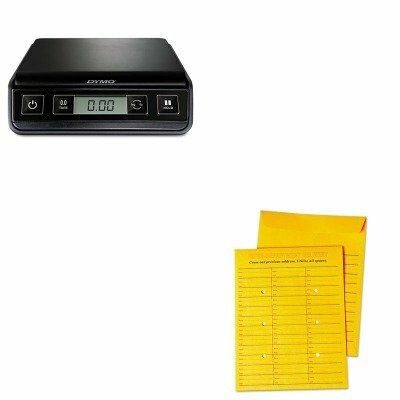 Envelope Size: 10 x 13 Envelope/Mailer Type: Interoffice Closure: Resealable Self-Adhesive.lt;BR/gt;lt;BR/gt;lt;stronggt;PEL1772055lt;/stronggt;lt;BR/gt;Universal Interoffice Press amp;amp; Seal Envelopelt;BR/gt;Ultra-compact design for super portability. Features an LCD screen with easy-to-read digital readout. Convenient amp;quot;holdamp;quot; feature locks weight display for ten seconds after item is removed. Scale Type: Postal Electronic/Mechanical: Electronic.